ni seyes lawak! eventhough entry ni agak lambat. tp utk sesape yang tak tgk AIM17 aritu sbb sibuk tgk EPL takpun Mentor, tgkla video ni. Kantoi Whatever - Afdlin Shauki's reply to Zee Avi's Kantoi. terbaek ouh! IPOH, March 22 — Putrajaya Holdings Sdn Bhd is expected to begin construction work on the multi-billion ringgit Tronoh Laketown Resort, near here, anytime soon, said Perak Menteri Besar Datuk Seri Dr Zambry Abdul Kadir (picture). He said the new township facing Universiti Teknologi Petronas (UTP) in Tronoh would cover 400 hectares of land. “It is a matter of time before Putrajaya Holdings builds an impressive township for the area which will allow local and international students to study in a conducive environment. “It will also be a catalyst for Perak’s efforts to turn Tronoh and Seri Iskandar as a new development area and education hub in the state,” he said after a working visit to the Darul Ridzuan Institute (IDR), here, today. He said besides UTP, other educational institutions such as Universiti Teknologi Mara (UiTM) and Mara Professional College are also located in the area. Zambry also said the state government had identified several areas in Hulu Perak, Bagan Datoh, Lembah Beriah near Kerian and Gua Tempurung, near here, as new development areas in line with Perak’s aim of becoming developed state in the future. are you the type who always sits in front of your computer blogging, playing games, checking emails or doing programmings? you can't live without your computer, laptop or pda? now you can! with SixthSense you don't need to spend thousands on technology cause all you need is just a piece of paper, or any flat surface! 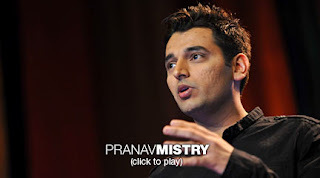 Pranav Mistry, an MIT student has developed this incredible technology that allows the physical world to interact with the digital world. the best part is, he's gonna make it open source. I won't say much, just wacth the video and prepare to be awestruck! hey, I know I haven't update this blog since long ago. I'm sorry coz I don't have much time now since I'm doing my intern in AMD. 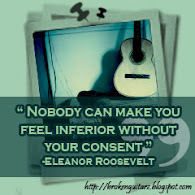 however, this is for you guys! yup! manchester united did it again! we won the carling cup thanks to 2 magnificent goals from owen and rooney! come on united, epl and champion's league next okay? p/s: okay, i know this is not really an update. huhu. i'll try and find some time okay? p/s: amie and dira, i know u're reading this. nice post title kan? hahaha. hey fellow georgians, check this out! congratulations SMK (P) St. George! keep up the good work and make us proud! happy new year people!! WELCOME 2010!! hope that this year will be a better one for all of us. let's watch this video of 2009's top 25 pop songs remix. enjoy! p/s: it's also my dad's birthday today!! happy birthday daddy! !